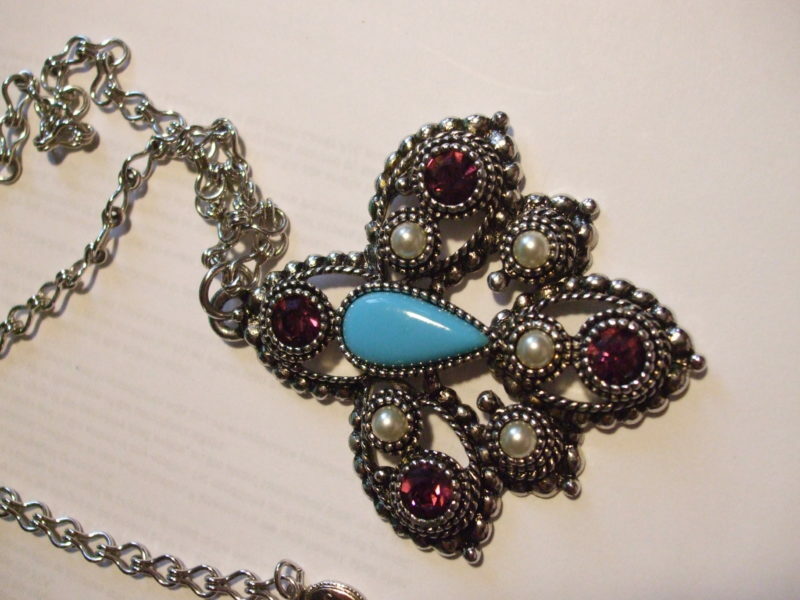 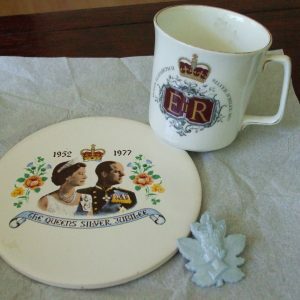 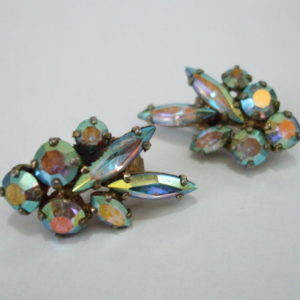 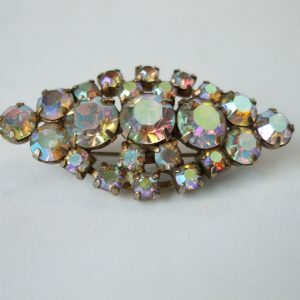 Gorgeous vintage turquoise purple rhinestone pendant designed for Sarah Coventry for the Imperial Collection in 1974. 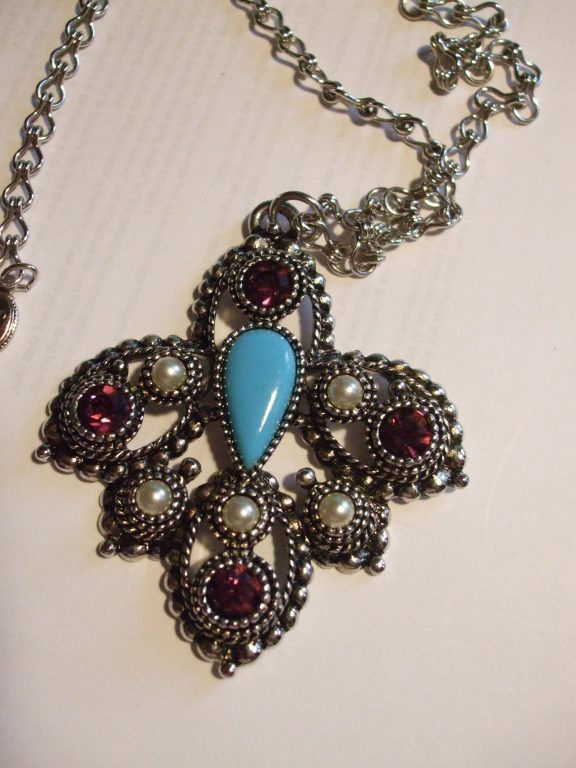 Antiqued silver tone cross shaped pendant with faux turquoise teardrop piece in the center, accented by five faux pearls and four round amethyst colour rhinestones. 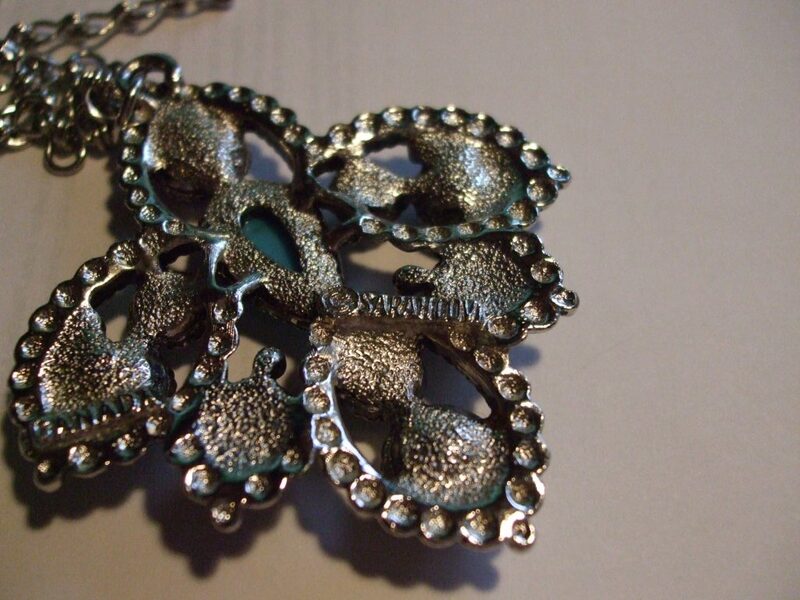 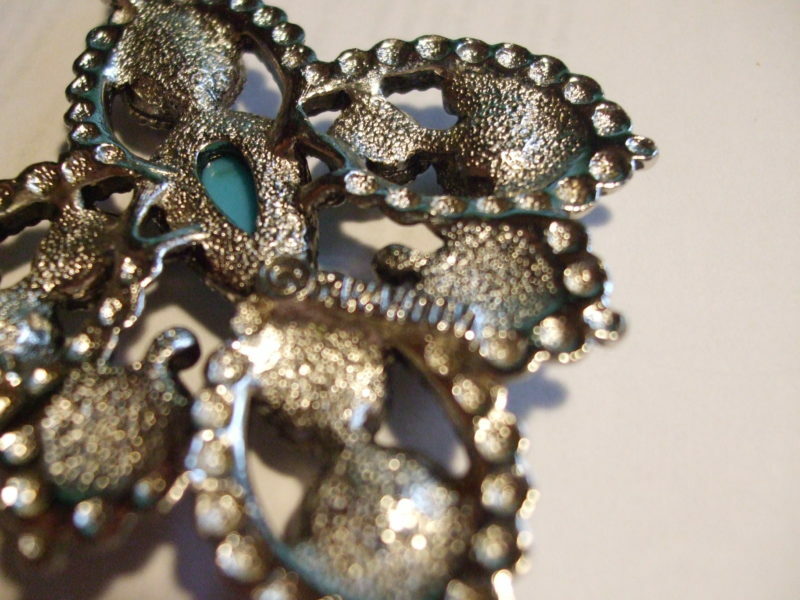 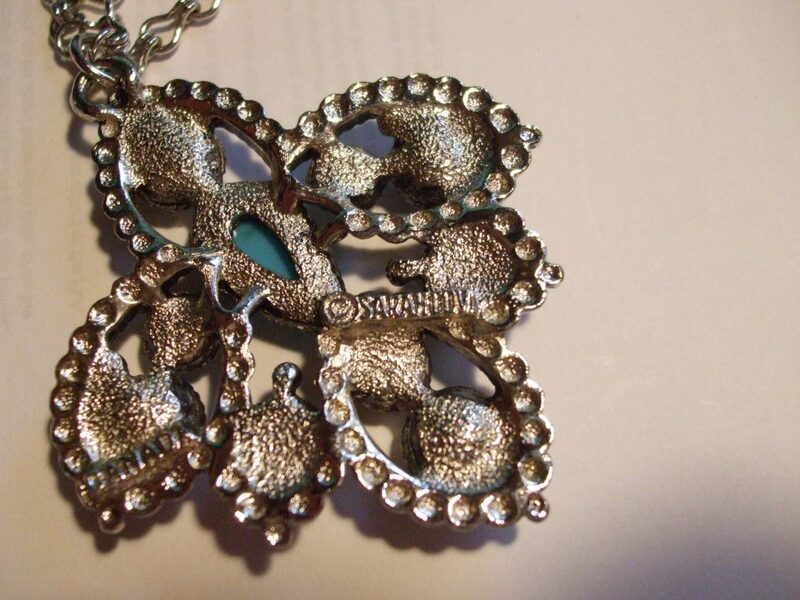 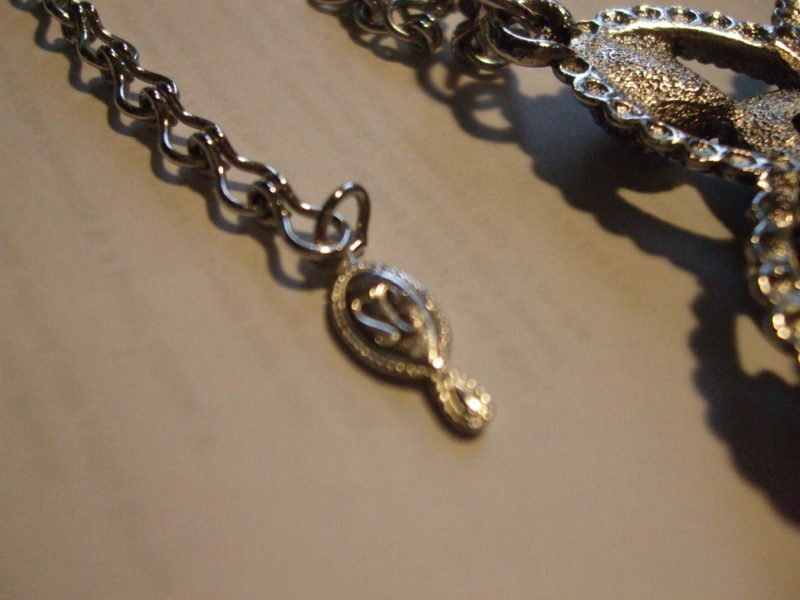 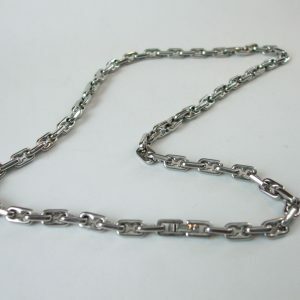 It comes with the original hallmarked chain, a mint piece for your vintage jewelry collection!